Take the complication out of managing your website. 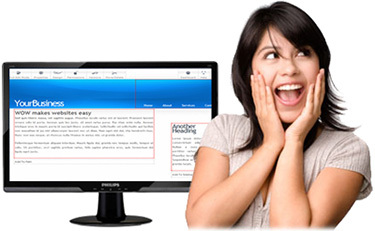 Be empowered with a fully featured website CMS that simplifies the task of updating your site. Just browse, edit and save—it's that easy! ongoing support from dedicated Australian professionals. Benefits You Receive With WOWWhat are some reasons why you would go with our WOW package? Hopefully your decision is clear, but if you are still unsure then know that you receive complete peace-of-mind with a full 60-day moneyback guarantee. That is how confident we are that you'll love your WOW package! Let Webporter WOW your website and remove the complication of managing your website.